Today might have been the strangest day ever as a Wizards fan. Last night, they dropped to 5-11 for the year with a 119-109 home loss to Portland. As if the situation could not be getting a whole lot worse, it could be. Earlier today, Adrian Wojnarowski of ESPN said that the Wizards have a willingness to deal away everybody on the roster. This includes All-Star guards John Wall and Bradley Beal. 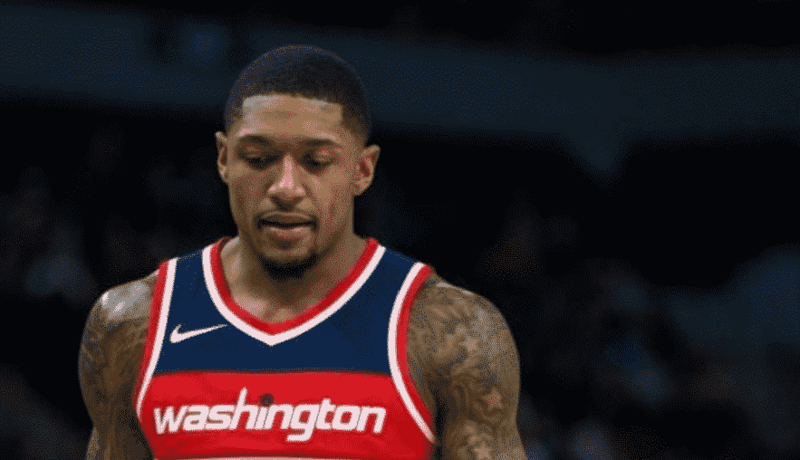 While this is a dark time, I decided to have a little bit of fun with this by making suggestions of possible trade scenarios which would have John Wall, Bradley Beal, and Otto Porter land on other teams. Why not? The Milwaukee Bucks are a very young, on-the rise team and would not be having to gut much in order for this to happen. Of course, they would have to be willing to commit to John Wall’s long-term salary but that is a no-brainer in my mind. For starters, Eric Bledsoe is not currently having the best year as he is averaging 14.7 points, 4.6 rebounds, 6 assists, and 1.2 steals. John Wall is averaging 21 points, 3.3 rebounds, 8 assists, and 2 steals. I think it is pretty clear who the upgrade is in this trade suggestion. The shooting percentages are very similar as John is shooting 45.1% from the field and 33% from three. Eric Bledsoe is shooting a little bit better, shooting 48.8% from the field and 34.3% from three. Also, could you imagine John Wall throwing lobs to Giannis Antetokounmpo? That would be on SportsCenter every night and it would push the Bucks to top three in the East instantly. While they are currently doing well in the East, adding another All-Star to pair with Giannis would bolster the team even more. A well-coached John Wall could easily push him into the elite point guard category if he isn’t already. Washington also wins in this trade. Eric Bledsoe is not a bad player to get back for John Wall and he is also an expiring contract. This allows the Wizards to have a lot of wiggle room in free agency to do something. There could be a lot of things Washington does to try to add to this team if they have the cap room. This could really help the Clippers. While LA may want to use their cap space on other things, adding John Wall could be a good start. If they can add Wall plus another max player in the summer, they are right back in contention. The Clippers have a lot of expiring contracts this summer and having some of them take less could help. If Kawhi or Jimmy is very interested in being a Clipper, do it. Two All-Stars who both could light the league on fire if they are together. Washington also wins in this trade. They receive Patrick Beverley who is a decent point guard. He may not get you anywhere but if you are going to blow it up, you are not expecting to win, are you? Teodosić is an expiring contract the Clippers could tack on to make it work. As for Lou Williams, he could be a really good shooter if this works. 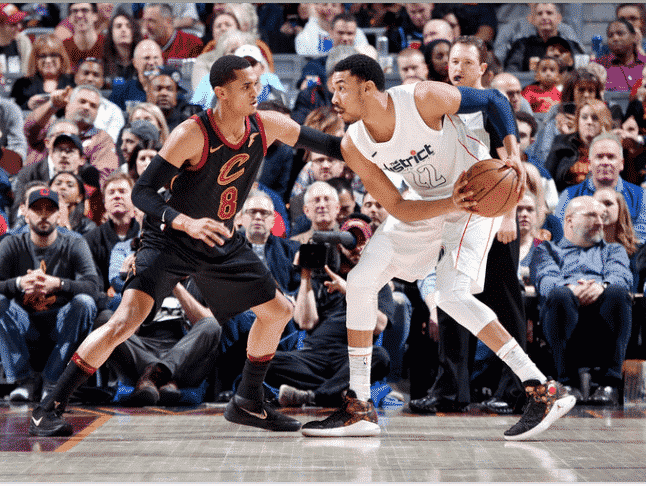 The Wizards could be without both Austin Rivers and Tomas Satoransky and they will need guard production. Adding Lou Williams would give them a guard who will be there for the next few years. Both teams win in both of these suggestions. 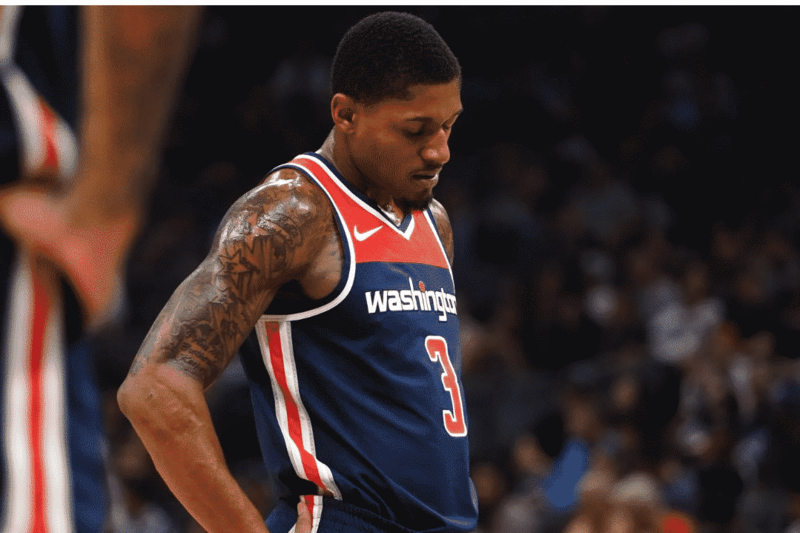 I thought of a similar idea for Otto Porter but I think that it would be better for Bradley Beal. For starters, New Orleans probably will not budge on giving up a package for Otto but they could for Beal. Brad has the most trade value on the Wizards and will be the only one that could have multiple teams interested in him. Solomon Washington also wins in this. Julius Randle has a very solid upside and would be terrific at both ends. Wesley Johnson and Solomon Hill could be decent bench players to fill out the roster. Solomon does have a contract worth around $12 million a year for the next couple of years but it runs out in 2020. This means that it will not be a long-term commitment. This would be a deal the Wizards make if they really want to blow it up. However, Charlotte gets a great victory in this trade. Adding Beal to pair with Kemba Walker could really change Kemba’s interest. He may want to take less if Charlotte was planning to build a contender. However, I think the Hornets would probably look to give up Nicolas Batum in any trade the Wizards want to make with them. Washington would be clearing up cap in this move. Jeremy Lamb is an expiring contract so there would be no long-term commitment. Marvin Williams is on a bad contract but he is only on a contract until 2020. That deal includes a playe option but unless Marvin really steps it up, there would be no reason to decline it. It was hard to find trade suggestions for Otto Porter. However, this could be a very realistic trade. Otto has gauged the interest of the Pelicans and it would take over $20 million in salary from New Orleans to make it work. I don’t see a player like Nikola Mirotic being moved but a small package could happen. Julius Randle will provide a very good addition to the frontcourt. Solomon Hill is not a huge long-term salary commitment and another first-rounder wouldn’t hurt. While Otto has not had the best of years, he could fit New Orleans and their scheme. He could thrive in Alvin Gentry’s up-tempo offense and add another versatile defender at forward for the Pelicans. New Orleans is looking to do whatever it takes in what could be Davis’ final contract with the Pelicans before he hits free agency in 2020. I could see this one happening. Otto would help bolster the Jazz frontcourt and Quin Snyder could also help get the best out of Otto. While it might be a bit of a stretch, Utah does not really get worse during this trade. Washington also benefits. Joe Ingles and Sefolosha are rentals which will help clear up cap space. Jae Crowder and his defense would help the Wizards and their starting five woes on that side of the ball. Nobody has a contract owed for a long time and Utah gets a possible three-and-D guy. Overall, this is a hopeful article. While I expect the backcourt to get dealt, some of these trade suggestions are a little more hopeful than realistic. However, I could see all of these suggestions happen regardless. Now let’s see if Ernie will pull the trigger and make one of these suggestions happen.